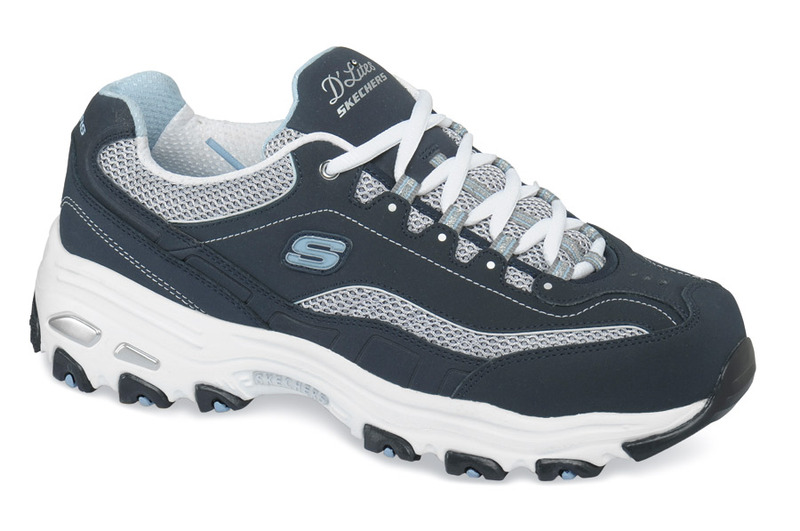 Lace yourself in for unbeatable comfort in the Skechers Sport D’Lites “Life Saver.” The uppers of navy trubuck and silver woven mesh are deeply cushioned at collar and tongue. You’ll be amazed how comfortable the Air-Cooled Memory Foam is for extended wear. 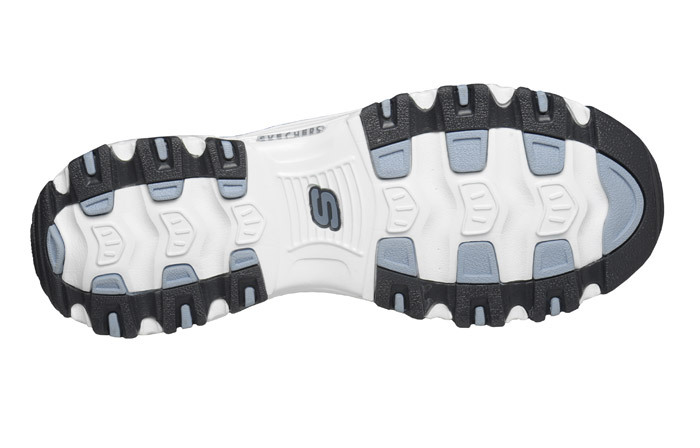 Lightweight, shock-absorbing midsole and flexible outsole with traction rubber pods, 1¼-inch heel height. Limited stock in women’s EW(2E) width in sizes indicated.